Blue denim, snazzy sunglasses, an evolving lingo, frenetic text messaging and hourly social network updates...the pleasure of celebrating youth brings the pressures of exams, foregoing dreams for sensible careers, peer and parental expectation and still looking cool! The book captures the nuances of parent–teenager communication in a series of snappy conversations. A perfect gift for anyone growing up... and for anyone standing by to watch! Originally from Pune, India, Manjiri currently heads Project Management at Primal Pictures in London. She is the co-founder of Maya CARE–a non-profit organization working for senior citizens in India. (www.mayacare.com). Among her past assignments are—news reporter at The Indian Express, Assistant Editor at Dataquest magazine, Director of a business news programme at In Mumbai Television, Head of Human Resources/Head of the Contact Centre at Zensar Technologies’ Business Process Outsourcing (BPO) division and National Manager, Marketing at ICICI Lombard General Insurance. She is a recipient of the British High Commission’s Chevening scholarship and was among 12 Indian professionals selected to attend a leadership and management programme in the UK in 2006. 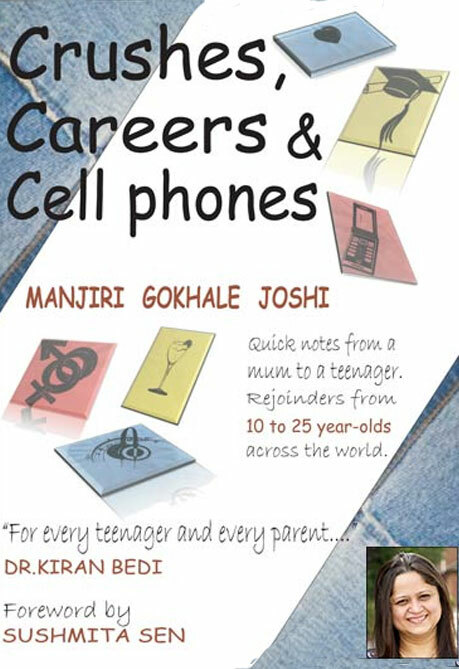 Manjiri’s first book Inspired, co-authored with Dr Ganesh Natarajan, was published in 2006. Manjiri lives in Milton Keynes in the UK along with her husband Abhay Joshi and two daughters–Tanvi and Mahi.